Having trouble finding the perfect gift? Give the gift of choice! 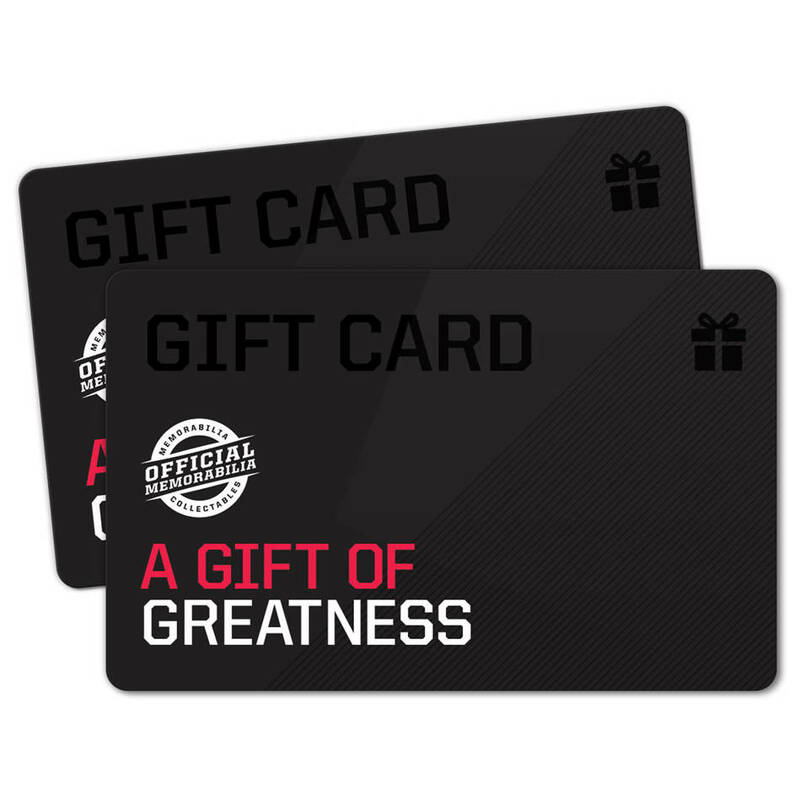 Official Memorabilia are proud to offer gift cards – the perfect gift for all sports lovers. The gift card will be sent as a code via email to the lucky recipient, and will last for 12 months from the date of issue. If you are purchasing this as a gift, please enter your own email address and forward it on to the lucky recipient at the appropriate time!